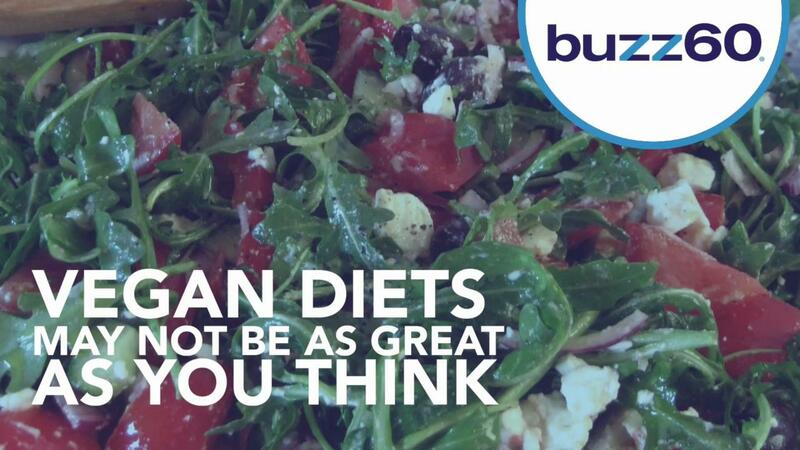 Don't fall into the trap of thinking a vegan diet is the healthiest possible lifestyle. It turns out, the total opposite is probably true! More than two million people in the United States have decided to go vegan. If you're one of them, listen up. You may want to change your habits. First and foremost, a meat-free diet is not helping the planet all that much. Veganism ranked fifth out of ten different diets in its ability to feed large amounts of people. U.S. research shows livestock takes up an incredible amount of space. Farmers would certainly not be able to produce any more food than they are currently producing. Thus, if everyone decided to go vegan, a large amount of land would simply go to waste. Veganism has become trendy in recent years. Celebrities like Gwenyth Paltrow and Jennifer Lopez boast about their meatless, dairy-free diets. This leads many people who strive to have their picture-perfect bodies to test out a similar diet. Others are motivated to make the switch due to concern over animal cruelty, while some are worried about food production levels. It would be best to look in to where your food is coming from. Ensure all meat is produced in cruelty-free facilities, and enjoy it sparingly. Your body needs the protein, and the planet needs the livestock! This one falls under the category of "why didn't I think of this?" These silicone covers work great on fruits and veggies but also on opened containers. One reviewer even uses it to cover her cat food. There's also a separate shape for avocados! Steaming is one of the healthiest modes of cooking -- and this pod helps gather, remove and drain foods from boiling water or steam with ease. Use it on pastas, clams, oysters, potatoes, eggs and veggies. This Amazon #1 best seller turns veggies into noodles with ease. You won't know how you lived without a spiralizer all this time! Looking for something a bit smaller? This handheld spiralizer from OXO is awesome, too! Obsessed with avocado? Us too. But that doesn't mean that they are always easy to work with. This genius Amazon best seller "splits, pits and slices" safely and easily. A removable base allows you to transition easily from strainer to serving bowl and back again -- making it great for salads, fruit and other healthy options! We love a good two-in-one! If your new year's resolution is to drink more water, you'll want to give this unexpected product a try. These charcoals actually help purify tap water (and make water taste great!). Sometimes the worst part of cutting veggies is transporting it to your plate, bowl or pan. That's why these drawers are so clutch! Just open a drawer and slide veggies (using your knife) right in. Many believe there to be some great health benefits in drinking red wine (in moderation of course!) -- and whenever you reach for a bottle, use this aerator. It takes seconds to use (just hold it over your glass, and pour your wine through it), and it makes wine (cheap or expensive) taste even better. Unlike most food scales, the Ozeri scale's super slim design won't be an eye sore in your kitchen. Food scales are truly game changing when it comes to portion control. Hate waste and want a higher performing plastic bag? This one's for you. These reusable bags are leak-proof, freezer safe and PVC, BPA and lead free.